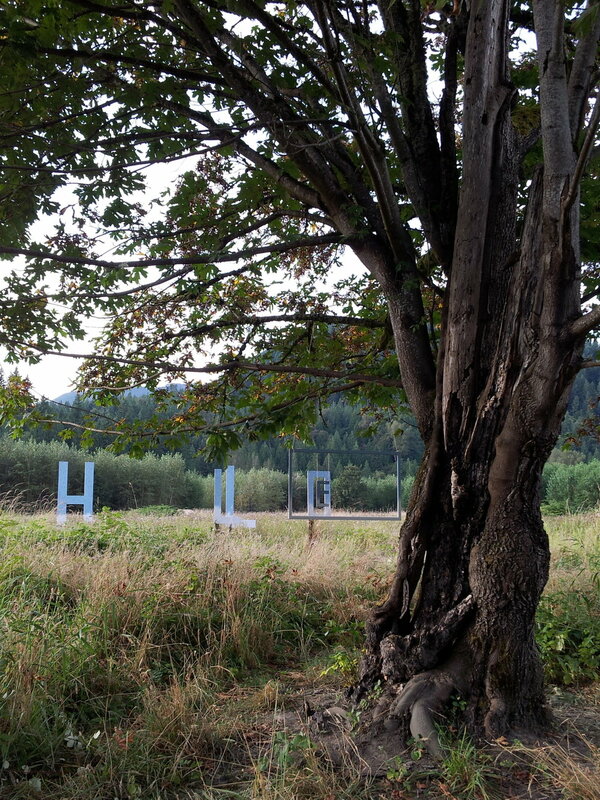 Playing off the theme of Must Be Present to Win, I created these anamorphic installations of larger than life postcards to be placed in four locations throughout the Smoke Farm property - one in the bonfire, one in the upper field, one in the woods, and one on the river bank. each piece was designed in such a way that engaged the viewer physically and encouraged the use of technology (camera phones) to revive and revise the dwindling practice of sending correspondence home to friends and family while away on vacation. the 3-Dimensional pieces are anamorphic in nature, viewers having to look thru the frame to find each of the 'sweet spots' where the message came into full view. with the letters merging playfully with the natural environment, one could walk amongst each of the them and become part of the picturesque postcard. The other letters are somewhere in between. E hangs from the frame which hangs from the tree. 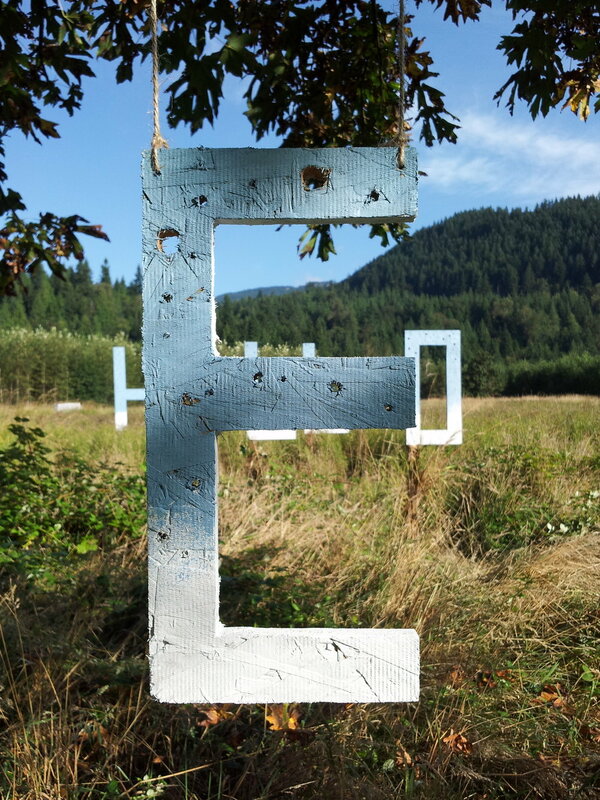 H, L, L and O are mounted on posts, the bottoms of the letters resting about chest height. 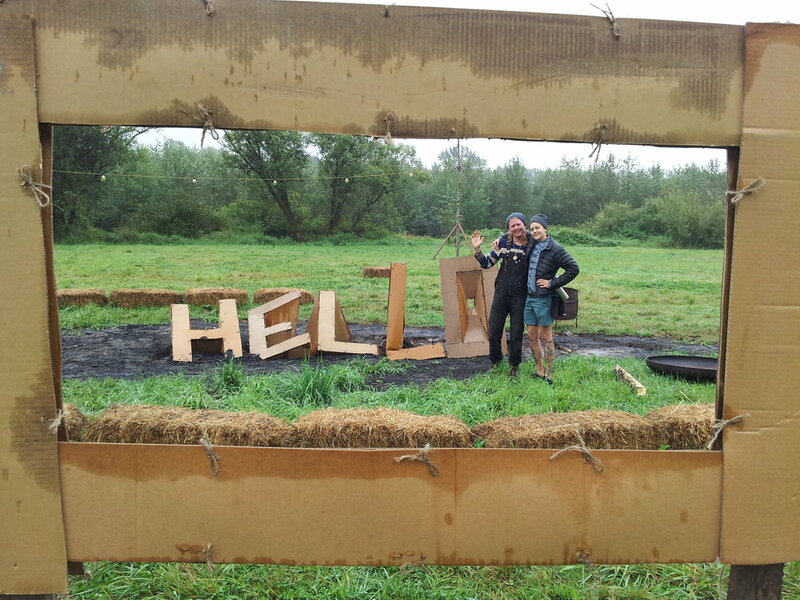 Holes drilled into the letters and the frame permeate the structure, allowing for light and wind to pass through, creating deeper integration between the work and the environment. 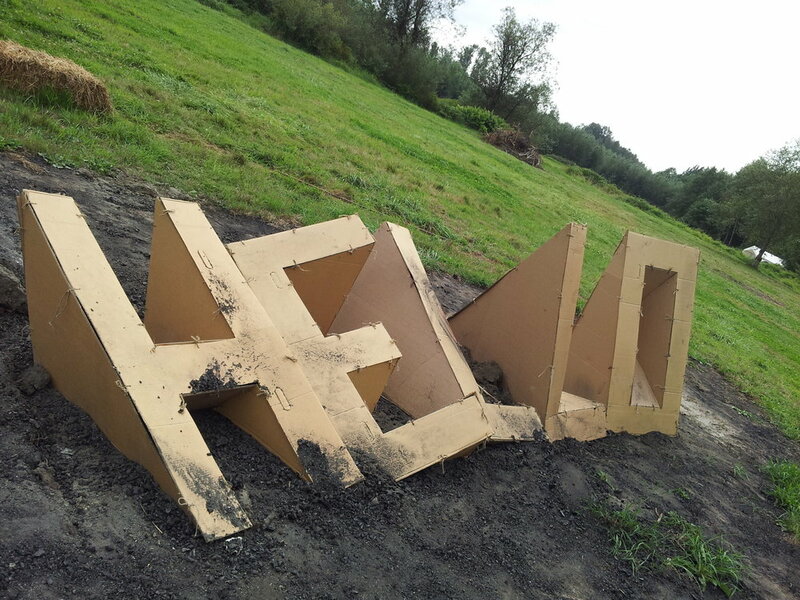 Constructed with cardboard, held together with twine, the 3Dimensional letters rise up from the ground at irrational angles. Or, knowing that these letters were created only to be destroyed, perhaps the message is a parting farewell, a falling retreat into its ultimate resting place. Special thanks to Johnny Bird for help with the install on this project. Equal sized 2x4's from a deconstructed wooden pallet hanging/secured from/in branches by/with twine. 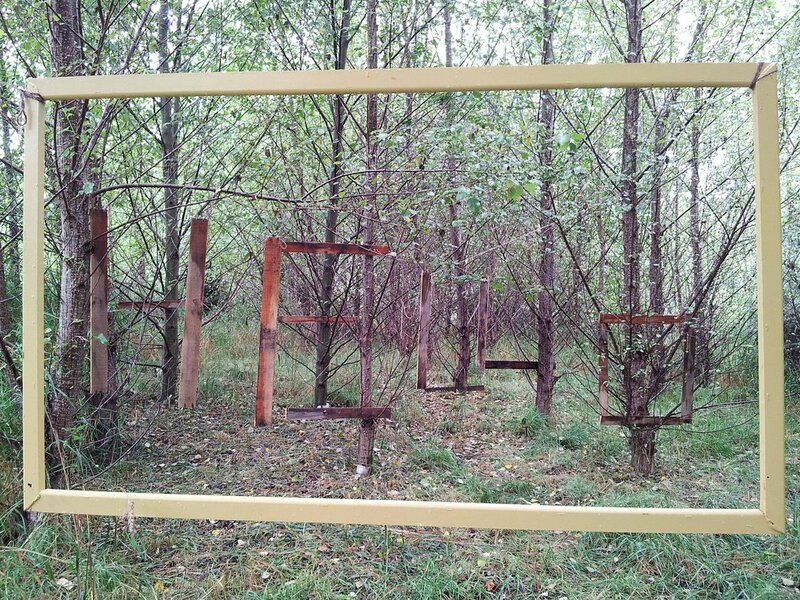 The suspended letter segments and frame at the mercy of the wind as understood by the trees. The top of the O is a surprising distance away.